The South Pasadena City Council approved a last minute plan to prevent and combat homelessness Wednesday, June 20. Initially, the original proposal was slated to be rejected, but a revised document was submitted the afternoon before meeting, prompting the council’s change in recommendation. During a previous meeting, Councilmember Diana Mahmud deemed the original proposal by Winnie Fong, a LeSar Development Consultants senior associate, as vague and not applicable to South Pasadena. Mahmud was concerned that the plan was too general and wouldn’t be approved for funding. 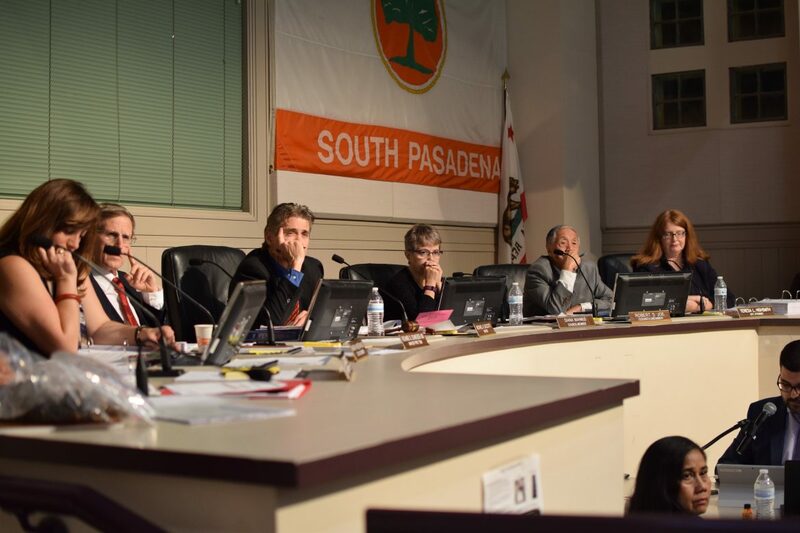 Last Wednesday, the council had gathered, prepared to reject the plan, but Fong returned with a revised document that included more specific strategies to aid the homeless in South Pasadena and other neighboring cities. Fong’s revised plan outlined multiple ideas and methods suited specifically for the community to help homeless individuals obtain various services. One included collaborating with the San Gabriel Valley Council of Governments to identify homeless hotspots along numerous river beds, including the Arroyo Seco River. Fong also explained plans to join forces with Metro to reach out to the homeless who regularly ride the Gold Line and provide them with health services and housing opportunities, as well as increase safety in the Metro. Fong utilized an account from South Pasadena Police Sergeant Shannon Robledo as an example for how she envisioned the proposed plan be carried out. Robledo reported his experience in aiding the homeless in South Pasadena. He offered a woman, Sheri Wood, help and arranged a counselling session for her with the Union Station Homeless Services. Wood is now eligible for Section 8 housing and employed at a local cafe. According to Robledo, only 11 homeless individuals are currently recorded to be living in South Pasadena. Recognizing that one sergeant isn’t enough to reach all the homeless individuals, Fong suggested the formation of a task force consisting of internal and external shareholders to implement the new strategies. With this plan being approved before an end of June deadline, South Pasadena will be eligible for more than the $30,000 grant that they accepted in February from Measure H, an action that will consume a quarter cent sales tax for the prevention of homelessness. The City Council will submit this document and await the verdict on the final funding of the plan. So, in other words, the old “sweep it all under the rug” or push them into the neighbors yard instead of truly making an effort to help correct or repair their missteps or poor decision making and definitely not to mention those who were genuinely victims of circumstances or just became lost in the crowd. Failure to reintroduce normalcy and tools they can learn and utalize on a constant or daily basis building up to a healthier “normal” way of life or environment again along with teaching them/reacclimating those who are ready willing and able with some, or alot, of peer advocacy and guidance with appropriate life skills would inevitably Irradicate a large number of these trapped human beings who are SISTERS FATHERS GRANDPARENTS SONS BROTHERS BEST FRIENDS TEACHERS DRUG COUNSELORS AND TRAVELERS just like you or myself underneath all of the grime that comes from the lifestyle.